turkey breast is a great addition, as is ham or smoked salmon. until tender. Let them cool and split them in half. 2. Combine the ingredients for the dressing. 4. 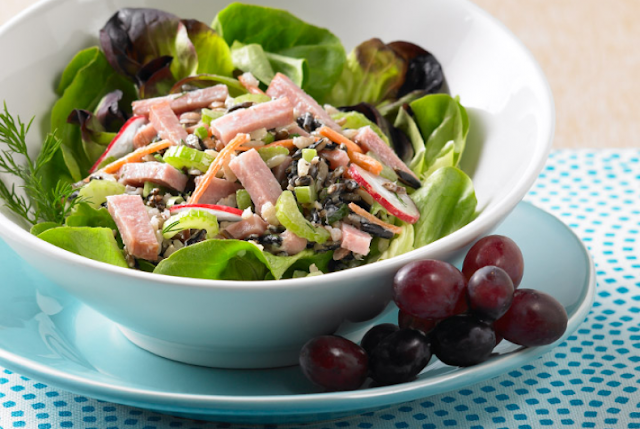 Arrange the salad on plates and serve with smoked turkey breast. gorgonzola cream is an excellent dish during fall and winter. 1. Begin by mixing together the ingredients for the gorgonzola cream. half of the oil, rosemary, salt, and pepper. with pumpkin seeds or walnuts, and serve with the gorgonzola cream.